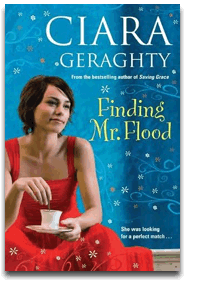 Dara Flood is brilliant at certain things: her job in the local dog shelter; hiding her cigarettes from her mother and her sister Angel; and avoiding difficult decisions like deciding what to do with her life. Private investigator, Stanley Flinter, is also good at certain things: finding cats and stray husbands; and pretending that he’s happy for his brother who has just had a baby with the only woman Stanley has ever loved. But Stanley is also good at knowing when people need him so when Dara Flood walks into his office trying to find the father who left them the week before she was born, he accepts the job. Even though he knows full well that you can never find a person who doesn’t want to be found. But Dara is desperate. Her sister Angel needs her and their father is their last hope. With Stanley’s help, Dara sets out to find Mr Flood. But will it be in time to save Angel? And what do Stanley and Dara discover along the way? "The funny thing about this one is I got the idea from a radio phone-in show I’d heard about 15 years ago, when I had no idea that I would be a writer. A woman rang in to say that, some days before, her husband had driven up the road in his truck and never returned. I often thought about that man in the intervening years. Where did he go? Did he ever come back? And of course, why? I thought about the woman too. I wondered if they had children and how his disappearance impacted on their lives. And so, when I was casting around for a story to tell, I lit on this idea about a father who walks up the road a few days before his second daughter is born to get a packet of cigarettes and never comes back.